Do you ever find yourself going for black or white shoes all the time because they ‘go with everything’? Why not go a little more adventurous and bolder in 2019? We recommend a trip to Schuh to get some Vans Old Skool Trainers in Orange (£65). Guaranteed to make your outfits pop and you’ll be surprised how well the bright colour goes with your current wardrobe. It’s at this time of year where we feel our most sluggish. We’ve overindulged on junk food and alcohol and feel we need to have a healthy eating kick to justify all the mince pies. Instead of relying on exercise alone, why not purchase this Russell Hobbs Jug Blender from Debenhams (£45) to clear yourself of toxins and make sure you’re getting your 5 a day? Start your new year off right by making homemade smoothies, which your body will no doubt thank you for! Bold and stripy is set to only get bigger in 2019, so why not get your ‘Go Faster’ stripes on this year with the Stone and Black Stripe Slim Oxford Shirt from Topman (£30). Fashionable, stylish and the short sleeves will have you ready for summer! A perfect top to start your striped collection. Sometimes it’s not just our bodies that need a bit of a detox after Christmas. With our busy social calendars over December, the festive period can be hard on our hair too. However, a fresh new do will get you feeling fabulous and hungry for success in the year ahead. A trip to Elegance Beauty for a cut and blow dry (From £15) will be sure to have you raring to go for 2019. Do you have a room in your house that desperately needs a refresh? Make 2019 the year you spruce up your home a bit! Geometric patterns are going to be big this year, so get in there now with this gorgeous Marble Geo Wallpaper from Next (£20). We think this is a simple and elegant feature wall that would work well in any type of room. 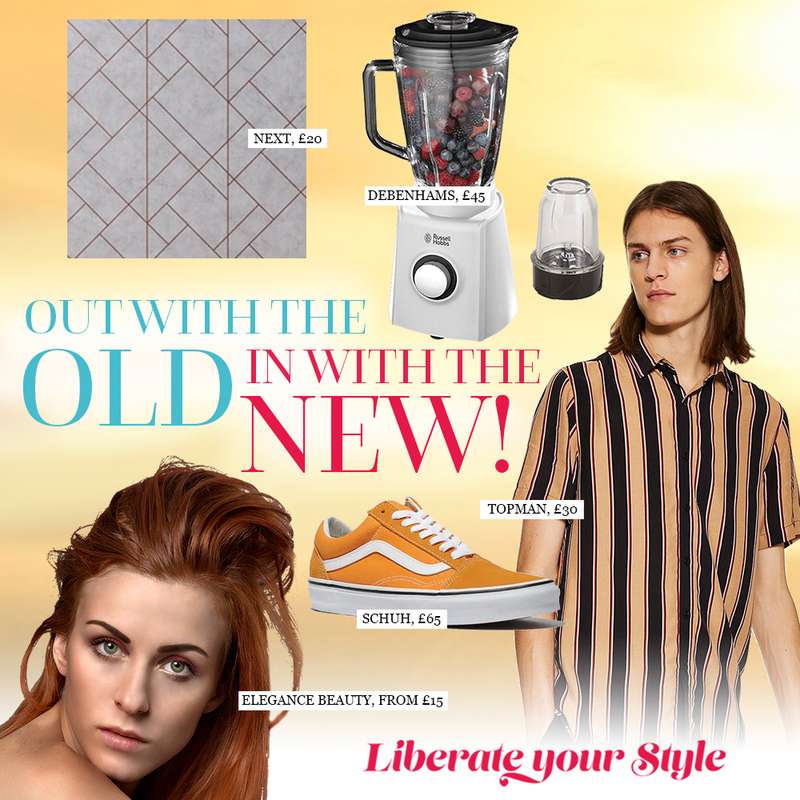 To share your ‘out with the old, in with the new’ ideas with us, head to our Facebook, Twitter or Instagram pages now!